Lonnie Wheatley, BIXBY, Okla. (March 29, 2019) – Kaylee Bryson was a busy racer last week, pulling double duty over all four nights of the POWRi “Turnpike Challenge” at three different tracks in Oklahoma. It was a successful “Turnpike Challenge” for the 18-year-old from Muskogee, racing into her first pair of Lucas Oil POWRi National Midget feature events aboard the Dave Mac Motorsports No. 11b Toyota-TRD entry while also picking up her first career POWRi National Micro Sprint feature win along the way. Bryson entered the four-race set last Thursday night at Sapulpa’s Creek County Speedway making just her third career Midget start, facing a stout field of more than 50 competitors over each night of racing action. 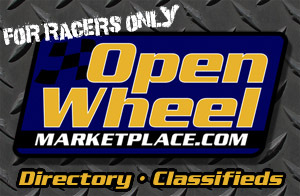 And, at the second leg of POWRi Midget “Turnpike Challenge competition at Oklahoma City’s I-44 Riverside Speedway on Friday night, Bryson raced her way into her first career Midget feature by virtue of a runner-up “B” Main finishes after placing third and then sixth in heat race and qualifying race competition. Unfortunately, her feature was cut short when another car flipped and landed on the front portion of her Midget, bending the frame and leaving the crew scrambling to piece things back together for Saturday’s round of action at Oklahoma City. Continuing to show improvement night after night, Bryson proved the team’s efforts worthwhile by locking into a second consecutive feature by backing up a strong runner-up heat race finish with an impressive run to second in her qualifying race. Gridding the feature field in tenth, Bryson picked off a pair of positions and was holding down eighth when a battery failure under caution after a dozen laps forced her pitside. While Bryson continues to adapt to the Midget ranks, she showed her prowess in POWRi Micro Sprint action as well with her first series win at Oklahoma City on Saturday night to go along with another podium finish of third on Sunday night at Tulsa’s Port City Raceway and a fourth-place run in the opening leg at Creek County Speedway. Bryson will be back in action aboard the Micro Sprint during this weekend’s Donnie Ray Crawford Memorial at Port City Raceway with her next Midget outing aboard the Dave Mac Motorsports No. 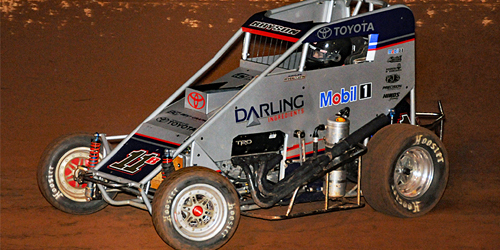 11b slated for the POWRi West card at Oklahoma City’s I-44 Riverside Speedway on Saturday, April 13. Next Up: Micro Sprints at the Donnie Ray Crawford Memorial at Tulsa’s Port City Raceway on Friday and Saturday. Keep Track: Keep track of Kaylee Bryson’s on-track action including schedule and results at https://www.facebook.com/Kaylee11b/. If you would like Kaylee Bryson Racing press releases e-mailed directly to you, send your e-mail address to Lonnie Wheatley at lonniewheatley@gmail.com.